Doesn’t it sound beautiful in German: ‘Schwimmender Wälder‘. 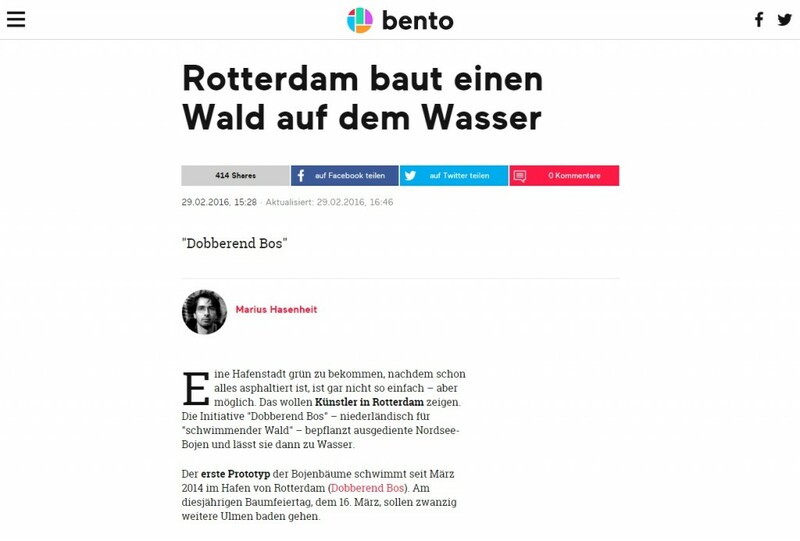 Bento, a German newsblog, writes about the Bobbing Forest and compares it to the ‘Open Island’ in their own country. That is an artwork consisting of little islands made from garbage. Those who understand German can read the article here.